100% compatible with Brother printers. Each 100ml ink = 5~7 cartridges. This ink is Anti-UV dye ink, which can resist against sunshine so that printings can last longer in color. This ink is produced in dustless workshop & with third time filtration, particulate at size in 0.2Âµ. So the nozzle won't clog. This ink was made with the color paste from USA and the chemical additive/formula supplied from Germany and Japan. Made in China. 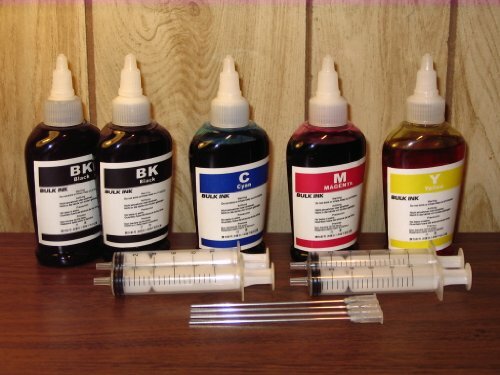 Total 500ml ink(2 blacks, cyan, magenta, yellow) and 4 long needle syringes.